The new song "Bomb Bomb" by group KARD topped on iTunes. KARD's first digital single, "Bomb Bomb," released at 6 p.m. on 27, was evenly distributed on the iTunes K-pop singles chart, regardless of the continent. Among the country, only 21 countries ranked first, showing strength in emerging markets such as Brazil, Mexico, France and Spain as well as big markets like the United States and Britain. it also showed off the power of the KARD, which does not cover regions, as it ranked first in Russia, Switzerland, the Netherlands, Canada, Austria, Chile and Portugal. 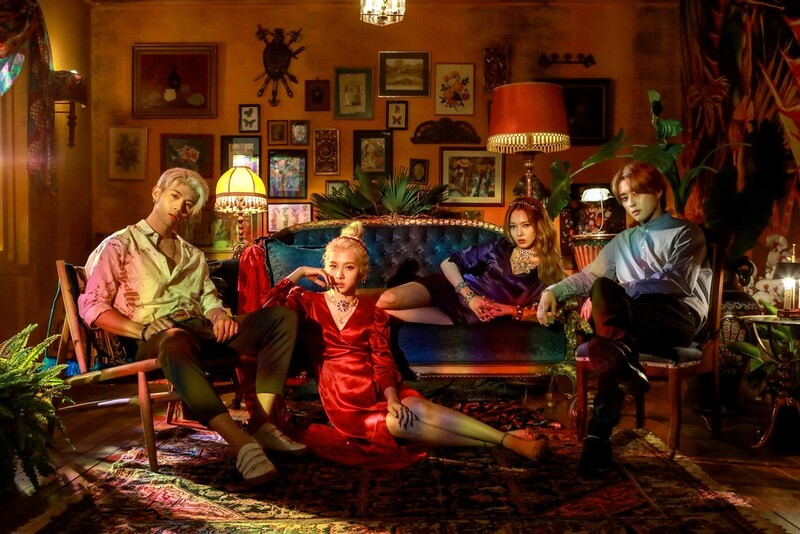 ‘Bomb Bomb’ proved global attention to KARD, as it ranked 20th on the iTunes World Wide Chart, while also ranked 44th in the U.S. and 69th in the iTunes Singles Chart. KARD appearde on KBS 2TV's "Music Bank" on 29 to present a powerful performance of "Bomb Bomb"